I have one new product to review and four I have already reviewed. PAPER TOWELS MR. BIG TM SOFT SIGN it is like 3 rolls in one. It is so big and lasts so long. Double-layered towels, crepe embossed and perforated. Purpose: for personal hygiene, wiping dishes and household items. One roll, 2 layers. Double absorbency, three rolls in one. Shelf life is unlimited. Store in a dry place. Mouthwash Oreon refreshing 500ml - this is the local shop Private Label (PL) product. Silan Soft & Oils Concentrated liquid for fabric softening Inspiring Orange Oil and I have previously reviewed it. I got these wipes for free because they were expired. I did use them as household wet wipes. Mostly used on my kitchen counters and kitchen table. BELIZNA 1L - I use this bleach hor my whites. Although it smells, it keeps my whites white! I got these wipes for free because they were expired. I did use them as household wet wipes. Mostly used on my kitchen counters and kitchen table. I think I already used one last month, packaging was red, but it is the same product. I think I have one more packaging left. Wipes “OLEA” quickly and effectively cleanse the skin of impurities, give a feeling of freshness. Glycerin, which is part of, gently nourishes and moisturizes the skin. Napkins do not contain alcohol, recommended for daily use. I have finished Pur lotion for washing dishes aloe 450 ml - this dish washing liquid does not dry your hands. You can easily use it without any gloves. 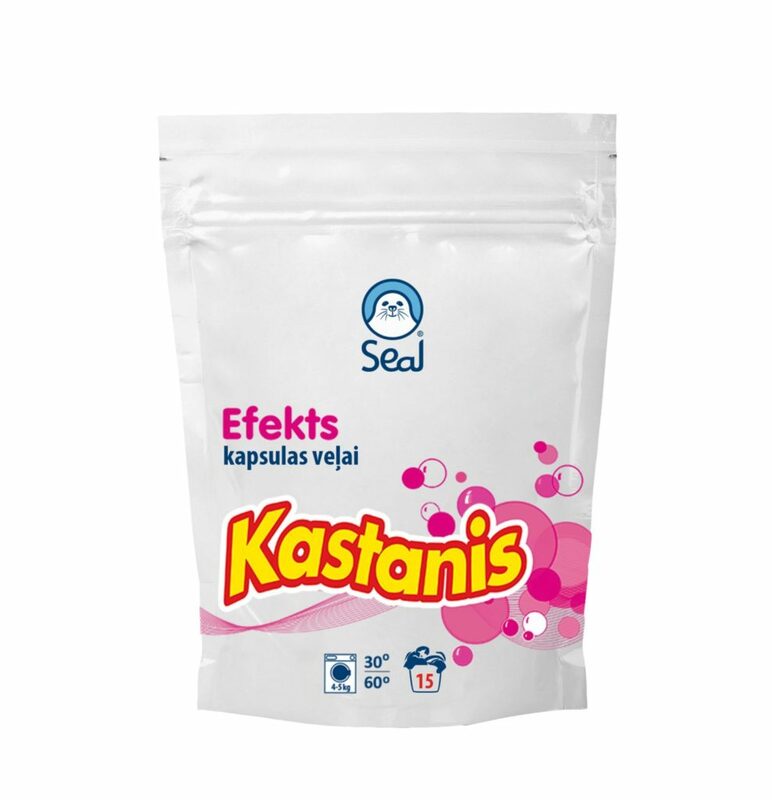 Kastanis efekts – concentrated capsules for washing coloured laundry, 15 pcs. - the review can be found here. I bought 2 packs because they are going to expire in March. As I am doing laundry every day these packs will last for one month. Actually I will be finishing the second packet soon. I like this product as I do not have to measure, I just put one capsule in the washer and the job is done. I do always try to get the cheapest product and they are a little expensive, but I got them really cheap because the expiration date. Second product I finished is Silan Soft & Oils Concentrated liquid for fabric softening Inspiring Orange Oil and I have previously reviewed it.